Find a full list of courses HERE! “Just a quick THANK YOU to Alison as your videos and templates have helped me immensely in streamlining my client workflow – this client only contacted me a few days ago and we met yesterday – I had her proposal to her in a couple of hours (used to take me 2-3 weeks!) and this morning I got this [confirmation e-mail!]. Working alone can be isolating and means I have to work hard and be alert to stay forward in my skills, so having your advice (and this community) is huge. “Dear Alison, just finished your math course and wanted to thank you! In 20 years in floral business no one ever told me the real way they priced flowers… In NY I visited flower shops and noticed the way they picked flowers from the cooler automatically…. I don’t know how I did it all this time… I’ve been having profits but wasn’t certain I was charging correctly most of the time…. Your course gave me confidence and certainty to keep doing and believing in fair business practices! Thank you so much again! I have just spent my morning enjoying your tutorials and loving your course templates…. I just have to say that I have been hating proposals for five years now because I put so much work and detail into them. Your templates have inspired me to just simplify and I love it! I tried a bridal software program last week and it ended up being more work for a result that I was unhappy with. “Alison has put her heart and her vast knowledge into this class. She is open and supportive. Honest and kind. She will tell the truth. She is clear and concise. She is a bit of a genius and she’ll bring out the genius in you! Her class is one of a kind because of all the backing and support she offers. But Alison’s approach is to encourage us to take some action, because it all adds up. One success leads to the next and soon it was fun! My new discoveries are exciting, I found myself not wanting it to end, and was pleased to discover that the information in the class will always be available to me. The course has such hefty content, the pdf’s can stand on their own. BUT the personal touch of the videos spurred me on. I needed that because I don’t trust myself to be a scholar with just me and the books. You brought it to life! YOU SAVE WHEN YOU BUNDLE! 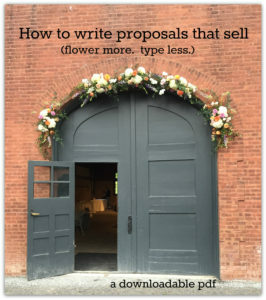 “I’ve been trying to explain to my team for a couple of years that we needed to build a design fee into the cost of our flowers and the deigns. Click here to SAVE $100 OFF Flower Math Today! 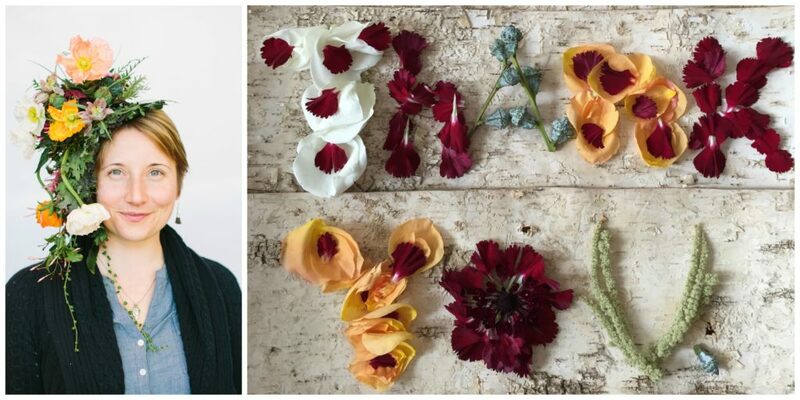 Question: What’s the most important thing people should know about Flower Math? That it is very helpful and worth the investment. That they will learn how to profit a higher percentage per wedding. That all of the techniques of pricing /ordering /recipe building are very easy to apply. It will give you the confidence to price appropriately. The point I have written in bold with stars is “I deserve the design fee”…Very easy to follow…but it was not boring at all. Kept my attention all the way through. 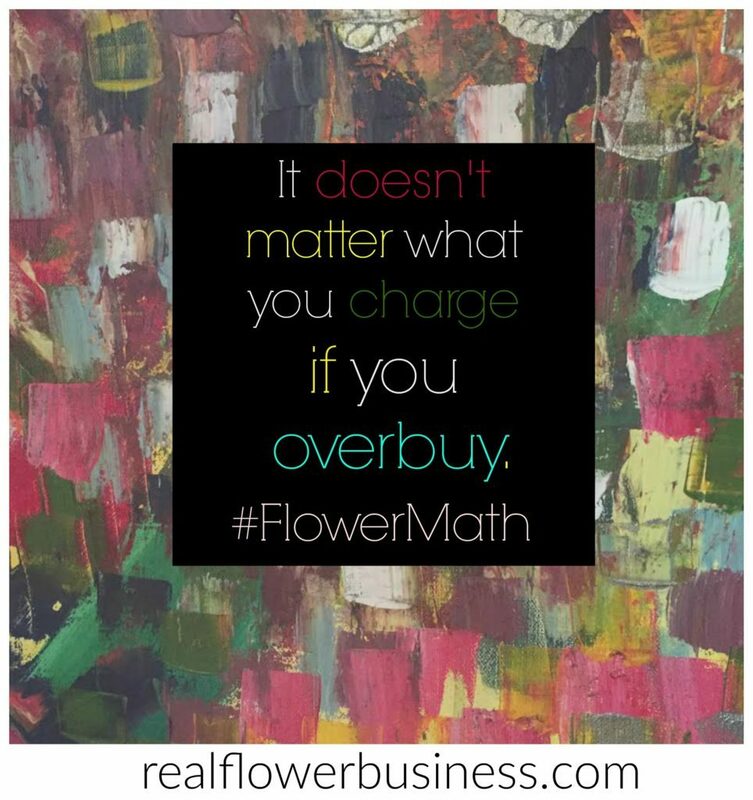 [Flower Math] exceeded my expectations…the pep talks, and the real life examples were worth the investment. It met it’s expectations and did what it promised. I learned a new way of making proposals, which I love. I love it. Met my expectations and gave me extra as in a personal boost not just a business boost. Read more Flower Math Feedback HERE. Thanks to everyone who took the time to write or comment and share your feedback with me! Find a list of courses HERE (including FREE courses).